Frankfurt - The Bundesliga will be participating in a campaign to promote integration this weekend as all 18 Bundesliga clubs and their sponsors show their backing for the nationwide 'Go Your Way' campaign. Integration is one of Germany's most fundamental challenges for the future and there is no better example of active integration than in football. Integration is not an issue on the field; integration is part of the game. 20 years after an arson attack in the town of Solingen that killed five members of a Turkish family, and German professional football's immediate reaction with the "Mein Freund ist Ausländer" (My friend is a foreigner) campaign, the Bundesliga on Thursday launched a new nationwide campaign. "Geh' Deinen Weg" (Go Your Way) is the motto and, like in 1992, it replaced normal shirt advertising on the chests of every single player of all 18 Bundesliga clubs at the weekend. 16 million people with an immigration background currently live in Germany, yet it is becoming increasingly rare, for example, for young immigrants to successfully continue further education after school compared to young people without a history of immigration. Germany is a land of variety. Every person, from whatever background or religion, must be given a chance. The "Geh' Deinen Weg" campaign is a call for equal opportunities and a peaceful co-existence. Furthermore, "Geh' Deinen Weg" shows that we have already come a long way since 1992. It is no longer just about foreigners, but about ourselves as a community and about our common ways. It is about the chances that a pluri-ethnic Germany offers; chances for each individual, but also the chance allow every person to follow their own path and remain part of the community. It is a plea to Germany: Go Your Way - together! The campaign was initiated by the German Integration Foundation, a creation of the German Periodical Press Association. The aim is to raise awareness of integration, illustrate successful examples and create a network between diverse individuals. Tolerance, mutual respect and the diverse opportunities which Germany offers should form the basis for peaceful co-existence throughout the country. The aim is that companies, associations, institutions and so forth will all take part in the campaign so that the whole of Germany benefits from successful integration. The campaign is being supported by Chancellor Dr. Angela Merkel, who is patron of the German Integration Foundation. The campaign day in the Bundesliga will be followed by even more public-effective activities from the German Integration Foundation. 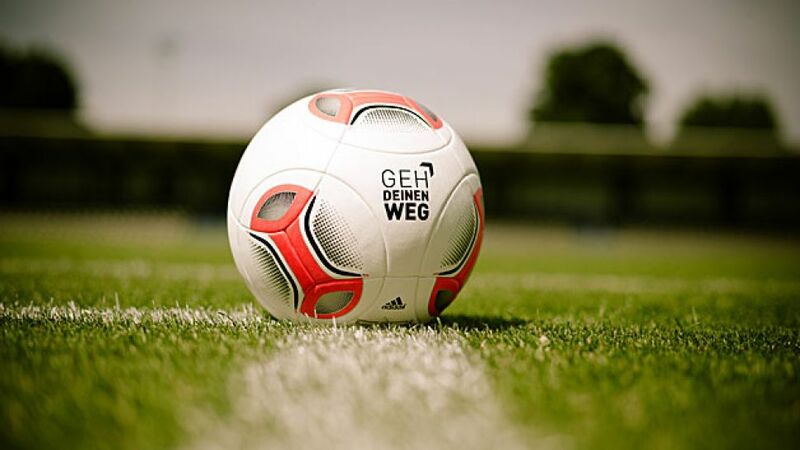 Bundesliga campaign day with the motto "Geh' Deinen Weg"
The "Geh' Deinen Weg" campaign day was supported by the DFL Deutsche Fußball Liga GmbH as well as the 18 Bundesliga clubs. The campaign also drew the support of all 18 shirt sponsors. For the second time in the history of the Bundesliga after the "Mein Freund ist Ausländer" campaign in 1992, the league offered a unique platform for raising awareness about integration and the significance of a peaceful co-existence. On the weekend of 14-16 September 2012 - Matchday 3 of the Bundesliga - all 18 Bundesliga clubs, together with their sponsors, gave their backing to integration and a 'togetherness feeling' in Germany. Bundesliga clubs and their sponsors swapped their logos for the "Geh' Deinen Weg" logo on Matchday 3. The footballs used in the Bundesliga also carried this logo. Chancellor Dr. Angela Merkel, patron of the Germany Integration Foundation, attended defending champions' Borussia Dortmund's game against Bayer 04 Leverkusen on 15 September 2012. At this game, she met youngsters from a variety of backgrounds from the youth teams of both clubs. After 1992 ("Mein Freund ist Ausländer"), it is the second time in the history of the Bundesliga that clubs and their sponsors work together throughout an entire Bundesliga Matchday for peaceful co-existence in Germany. Further information can be found at www.geh-deinen-weg.org (in German).